Here are what the editors at HealthDay consider to be the most important developments in Nursing for March 2019. This roundup includes the latest research news from journal articles, as well as the FDA approvals and regulatory changes that are the most likely to affect clinical practice. FRIDAY, March 29, 2019 (HealthDay News) — From 2012 to 2017, the proportion of U.S. adults who perceived electronic-cigarettes to be as harmful as or more harmful than cigarettes increased, according to a study published online March 29 in JAMA Network Open. FRIDAY, March 29, 2019 (HealthDay News) — Based on active surveillance data of acute respiratory illness (ARI), enterovirus D68 (EV-D68) was detected in 0.8 percent of patients in 2017 and in 13.9 percent in 2018, according to research published in the March 29 issue of the U.S. Centers for Disease Control and Prevention Morbidity and Mortality Weekly Report. THURSDAY, March 28, 2019 (HealthDay News) — Lifetime risks of hypertension under the American Heart Association (AHA) and American College of Cardiology (ACC) 2017 threshold exceed 75 percent for white men and African-American men and women, according to a study published online March 27 in JAMA Cardiology. WEDNESDAY, March 27, 2019 (HealthDay News) — Hearing loss is independently associated with substance use disorders among those aged 49 years and younger, according to a study published in the April issue of the American Journal of Preventive Medicine. WEDNESDAY, March 27, 2019 (HealthDay News) — Nonadherence to inflammatory bowel disease (IBD) treatment is more common among wealthier, more educated patients, according to a study published online March 18 in JGH Open. WEDNESDAY, March 27, 2019 (HealthDay News) — User data from medicine-related apps are routinely shared, according to a study published online March 20 in The BMJ. WEDNESDAY, March 27, 2019 (HealthDay News) — Parents and toddlers verbalize less with electronic books than with print books, and collaboration scores are higher with print books, according to a study published online March 25 in Pediatrics. WEDNESDAY, March 27, 2019 (HealthDay News) — Early life stress caused by childhood maltreatment can alter brain structure, which may increase the risk for adverse disease courses in patients with major depression, according to a study published in the April issue of The Lancet Psychiatry. TUESDAY, March 26, 2019 (HealthDay News) — There have been at least 314 reported cases of measles in the United States so far this year, according to new government data. TUESDAY, March 26, 2019 (HealthDay News) — Night work during pregnancy seems to confer an increased risk for miscarriage, with the risk increased for two or more night shifts the previous week, according to a study published online March 25 in Occupational & Environmental Medicine. TUESDAY, March 26, 2019 (HealthDay News) — Team leaders who wear a blindfold during pediatric resuscitation simulation-based training show improved leadership skills compared with standard training teams, according to a study recently published in Frontiers in Pediatrics. MONDAY, March 25, 2019 (HealthDay News) — Possible listeria contamination has led to a recall of avocados by Henry Avocado, a grower and distributor based near San Diego. MONDAY, March 25, 2019 (HealthDay News) — A mumps outbreak that began last month at Temple University in Philadelphia has reached 15 confirmed and 59 probable cases. MONDAY, March 25, 2019 (HealthDay News) — In a joint policy statement published online March 25 in Pediatrics, the American Academy of Pediatrics and the American Heart Association have endorsed a number of public health measures designed to reduce sugary drink consumption among children and adolescents. MONDAY, March 25, 2019 (HealthDay News) — In a clinical report published online March 25 in Pediatrics, guidance is provided for managing therapy services for children with disabilities. FRIDAY, March 22, 2019 (HealthDay News) — Work environments for critical care nurses have improved since 2013, though there are still several areas of concern, according to survey results recently published in Critical Care Nurse. THURSDAY, March 21, 2019 (HealthDay News) — One lot of DG/health NATURALS baby Cough Syrup + Mucus is being recalled due to possible contamination with potentially harmful bacteria, says maker Kingston Pharma, LLC. THURSDAY, March 21, 2019 (HealthDay News) — Previous antibiotic exposure and use of proton pump inhibitors (PPIs) may be risk factors for Clostridioides (formerly Clostridium) difficile infection (CDI) in hospitalized pediatric patients, according to a review published online March 7 in Infection Control & Hospital Epidemiology. WEDNESDAY, March 20, 2019 (HealthDay News) — Communication, implementation of guidelines, and improved identification of risk factors may help reduce chronic obstructive pulmonary disease (COPD) hospital readmissions, according to a report published in the February issue of the Annals of the American Thoracic Society. TUESDAY, March 19, 2019 (HealthDay News) — Most new HIV transmissions are from people who do not know they have HIV infection or are aware of infection but are not receiving care, according to research published in the March 18 early-release issue of the U.S. Centers for Disease Control and Prevention Morbidity and Mortality Weekly Report. TUESDAY, March 19, 2019 (HealthDay News) — A newly developed checklist can rapidly identify anthrax cases after a suspected mass exposure, according to a study published online March 19 in the Annals of Internal Medicine. TUESDAY, March 19, 2019 (HealthDay News) — Adherence to timing and dosing of insulin injections can be objectively measured using Bluetooth-enabled pen caps, according to a study published online March 12 in Diabetes Care. MONDAY, March 18, 2019 (HealthDay News) — Machine-learning models that use electronic health record (EHR) data can identify infants with sepsis in the neonatal intensive care unit hours before clinical recognition, according to a study published online Feb. 22 in PLOS ONE. FRIDAY, March 15, 2019 (HealthDay News) — Overweight and obesity in adolescence is associated with an increased risk for developing renal cell carcinoma (RCC) later in life, according to a study published online Feb. 20 in the International Journal of Cancer. FRIDAY, March 15, 2019 (HealthDay News) — There may be a small benefit to labor induction in low-risk woman at 41 weeks versus expectant management, though the chances of a good perinatal outcome are high with both strategies, according to a study published online Feb. 20 in The BMJ. FRIDAY, March 15, 2019 (HealthDay News) — Many providers stopped initiating opioid therapy from July 2012 to December 2017, according to a report published in the March 14 issue of the New England Journal of Medicine. FRIDAY, March 15, 2019 (HealthDay News) — Expert guidance has been provided on the early detection of colorectal cancer and on treatment and posttreatment follow-up; the two guidelines were recently published online in the Journal of Global Oncology. THURSDAY, March 14, 2019 (HealthDay News) — There is considerable concern regarding the potential negative impact that electronic cigarettes and other new products may have on ending all tobacco use and nicotine addiction, according to a presidential advisory issued by the American Heart Association and published online March 13 in Circulation. WEDNESDAY, March 13, 2019 (HealthDay News) — Bempedoic acid, an inhibitor of ATP citrate lyase (ACLY), added to maximally tolerated statin therapy, significantly reduces levels of low-density lipoprotein (LDL) cholesterol in patients with atherosclerotic cardiovascular disease and/or heterozygous familial hypercholesterolemia, according to a study published in the March 14 issue of the New England Journal of Medicine. WEDNESDAY, March 13, 2019 (HealthDay News) — More than 2,200 people exposed to a mumps outbreak in two U.S. immigrant detention facilities have been quarantined, federal officials say. WEDNESDAY, March 13, 2019 (HealthDay News) — Resistance training (RT) may be a viable option for patients with prediabetes seeking to prevent or delay progression to type 2 diabetes (T2D), according to a study published online Feb. 15 in Diabetes/Metabolism Research and Reviews. WEDNESDAY, March 13, 2019 (HealthDay News) — Daily bathing with chlorhexidine plus nasal mupirocin in carriers for methicillin-resistant Staphylococcus aureus (MRSA) does not cut rates of hospital-acquired bacterial infections overall in non-critical care units, but benefit is observed in patients with medical devices, according to a study published online March 5 in The Lancet. TUESDAY, March 12, 2019 (HealthDay News) — Patients who use a simple waiting room tool are more prepared and more likely to begin heir primary care visit by communicating their top priorities, according to a study published in the March/April issue of the Annals of Family Medicine. TUESDAY, March 12, 2019 (HealthDay News) — Parents who both smoke cigarettes and electronic cigarettes are less likely to have smoke-free car and vape-free car or home policies compared with cigarette users, according to a study published online March 11 in Pediatrics. MONDAY, March 11, 2019 (HealthDay News) — A moderate level of muscular strength is associated with a reduced risk for type 2 diabetes, independent of estimated cardiorespiratory fitness, according to a study published online March 11 in Mayo Clinic Proceedings. MONDAY, March 11, 2019 (HealthDay News) — The risk for sudden unexpected infant death (SUID) is increased with any maternal smoking during pregnancy, according to a study published online March 11 in Pediatrics. FRIDAY, March 8, 2019 (HealthDay News) — Ten confirmed cases of mumps, six probable cases, and a case under investigation have been reported at Temple University in Philadelphia. FRIDAY, March 8, 2019 (HealthDay News) — Women with gestational diabetes mellitus (GDM) have an increased risk fir developing cardiovascular events postpartum, according to a review published online March 7 in Diabetologia. FRIDAY, March 8, 2019 (HealthDay News) — Smoking a water pipe is addictive and can increase the risk for initiating cigarette smoking, according to a scientific statement from the American Heart Association published online March 8 in Circulation. THURSDAY, March 7, 2019 (HealthDay News) — Children from lower-income households are more likely to report recent childhood gastrointestinal and respiratory illnesses but are less likely to miss any school days, according to research published in the March 8 issue of the U.S. Centers for Disease Control and Prevention Morbidity and Mortality Weekly Report. WEDNESDAY, March 6, 2019 (HealthDay News) — A behavioral intervention results in a sustained increase in physical activity and decrease in sedentary time among patients with type 2 diabetes, according to a study published in the March 5 issue of the Journal of the American Medical Association. WEDNESDAY, March 6, 2019 (HealthDay News) — Conception within 12 months of a stillbirth is common and is not associated with an increased risk for adverse pregnancy outcomes, according to a study published online Feb. 28 in The Lancet. TUESDAY, March 5, 2019 (HealthDay News) — For overweight adults with depression, daily multinutrient supplements and individual or group therapy sessions do not reduce major depressive disorder (MDD) episodes over one year, but an integrated intervention appears to be beneficial, according to two studies published in the March 5 issue of the Journal of the American Medical Association. 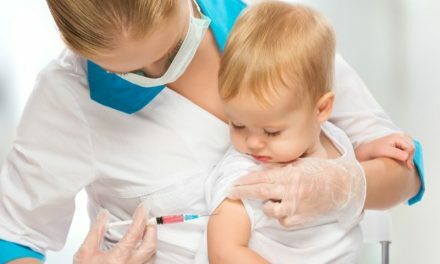 TUESDAY, March 5, 2019 (HealthDay News) — Google, Facebook, and Pinterest need to take more action against the growing threat to children posed by online misinformation about vaccines, the American Academy of Pediatrics said in a letter sent to the social media companies. TUESDAY, March 5, 2019 (HealthDay News) — In only the second known case worldwide, a man is free of HIV after a stem cell transplant, doctors say. TUESDAY, March 5, 2019 (HealthDay News) — There is a considerable amount of variability in the ways in which electronic health records (EHRs) are used during morning rounds, resulting in extensive use of workarounds and problems with team communication, according to a study published online Feb. 25 in PLOS ONE. TUESDAY, March 5, 2019 (HealthDay News) — A series of interventions introduced through a quality improvement project can increase the frequency of both teratogen education and urine pregnancy screening in patients taking teratogenic medications for rheumatic disease, according to a study published online March 5 in Pediatrics. MONDAY, March 4, 2019 (HealthDay News) — Measles, mumps, rubella (MMR) vaccination is not associated with an increased risk for autism, including in children with autism risk factors, according to a study published online March 5 in the Annals of Internal Medicine. MONDAY, March 4, 2019 (HealthDay News) — Both low- and high-income women who are switched to high-deductible health plans (HDHPs) experience delays in breast cancer diagnosis and treatment, according to a study published in the March issue of Health Affairs. MONDAY, March 4, 2019 (HealthDay News) — An iterative, multidimensional quality improvement (QI) effort can reduce interruptive drug-drug interaction (DDI) alerts, according to a study published in the March issue of Pediatrics. FRIDAY, March 1, 2019 (HealthDay News) — The number of measles cases in the New York City outbreak that began last October in the Orthodox Jewish community has reached 121, the city’s health department said Thursday. FRIDAY, March 1, 2019 (HealthDay News) — Wireless epidermal electronic systems with in-sensor analytics are feasible for use in the neonatal intensive care unit (NICU), according to a study published in the March 1 issue of Science.